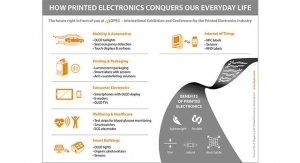 Printing - The Independent Global Source for the Flexible and Printed Electronics Industry. 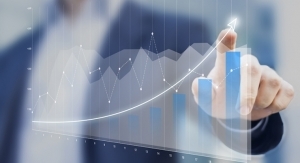 Fast growth and high commercialization are resulting in gains for equipment manufacturers. 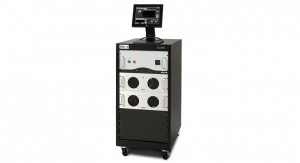 Equipment manufacturers see gains in the flexible and printed electronics field. 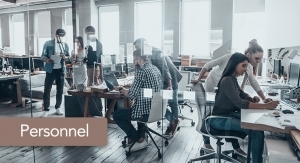 Event takes place March 27-28, 2019 to the Radisson Blu Scandinavia in Düsseldorf. 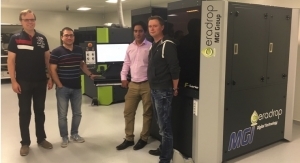 The CERADROP F-Serie is operating in the Laboratory for Future Electronics of Tampere University of Technology (Finland). 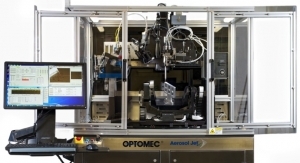 At its booth (Hall 3.1 Stand J10), Optomec will run demonstrations showcasing simultaneous 5-axis metal printing. 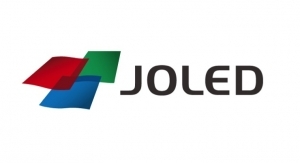 JOLED will use the funds to develop the world’s first printed OLED display mass-production line. KROENERT and Coatema are global leaders in machinery and systems in the coating and converting industry. DED found to be 10x faster, 5x less expensive than Power Bed Fusion for building mid-size metal parts. 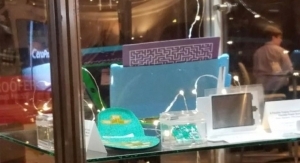 High-end equipment provides users with a flexible solution to design and print complex functional multi-material devices. 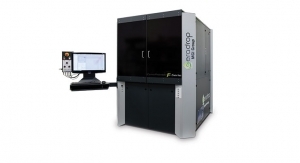 Highlighting its exhibition will be video presentations of the five axis Aerosol Jet system for printed electronics. 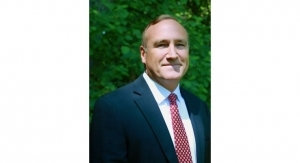 Hanson is a former machine tool industry COO at Methods 3D. 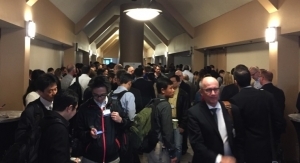 TCT Asia 2018 Expo will be held March 1-3 in Shanghai, China. Will offer live demonstrations of the Aerosol Jet 200 system. 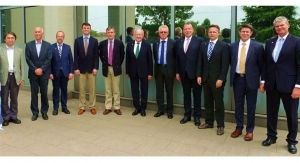 Assumes COO title from Kateeva co-founder Dr. Conor Madigan, who remains president. 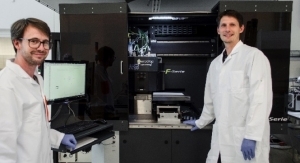 Nanotechnology breakthrough with turnkey materials deposition printer from CERADROP-MGI. 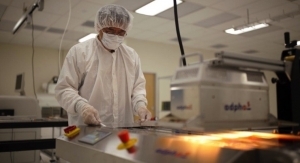 Su has worked with leading companies, including KLA-Tencor and Lam Research. 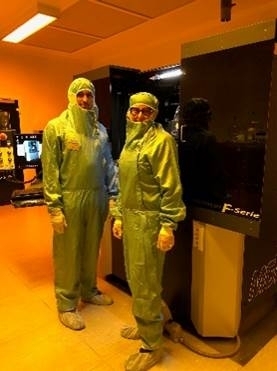 Developing novel methods to create next generation manufacturing processes for sensors, antennas, energy harvesting devices. 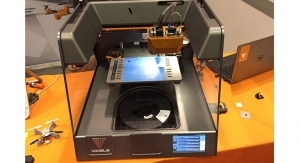 Plans to introduce a printer for the electronics industry. 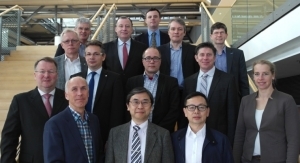 Industry leaders, academic institutes collaborate on latest developments in 3D printed electronics. 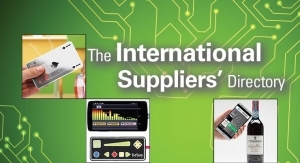 Acquires 648 issued patents, one pending application covering inkjet equipment, related processes for OLEDs and FPDs. 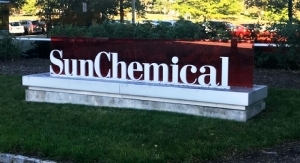 Dr. Antoniadis served as CTO of the DuPont Photovoltaic Solutions Group following the company’s acquisition of Innovalight. 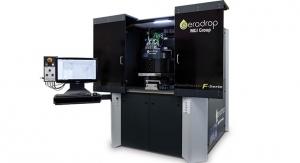 The CERADROP instrument is currently operating in the Chemical Microscopy Center. Harrus is CEO of Kateeva, and Banucci is founding CEO of ATMI. 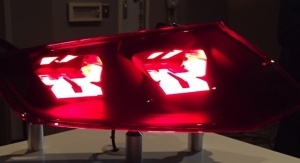 Full-color modelling of prototypes and scale models with more than 10 million colors. All the manufacturing activities in Thun, Switzerland are expected to be discontinued by the end of 2018. 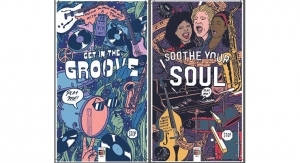 CERADROP-MGI F-Serie earns Future of Print, Best of Category. 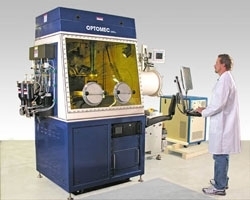 Optomec was recently awarded a NASA SBIR contract for further development of an Adaptive Laser Sintering System (ALSS). 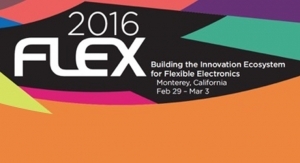 Will show flexographic printing capabilities for flexible printed electronics. 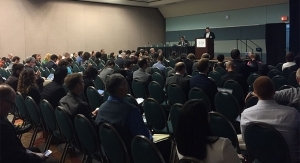 Presentation highlights convergence of additive manufacturing and industrial IoT applications. Starter recipes speed implementation of additive manufacturing across a broad range of metal and electronics materials. 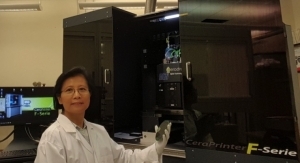 System will greatly reduce production time and pave the way for in-space fabrication of printed electronics. 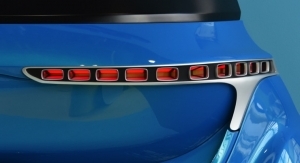 Will highlight a groundbreaking 3D Printed Sensor application that was developed with its customer General Electric. 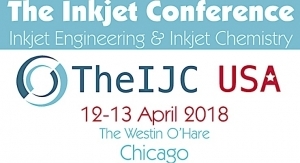 Industrial Inkjet Ltd USA and will be located in Golden, CO.
Receives award for collaborative innovation. 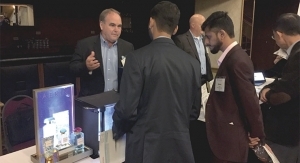 Starlight Digital Manufacturing Platform bridges gap between applied research and scalable additive manufacturing solutions. Marks 30 years since the co-invention of the OLED device. 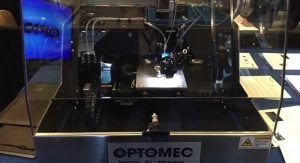 Optomec deposition and curing techniques will lower production cost, expand industrial use of 3D printed electronics. Adds CFO responsibilities to his current role leading Kateeva’s legal affairs. 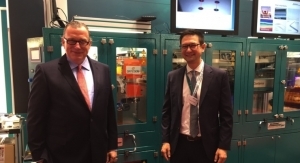 Coatema Coating Machinery, temicon Cooperate on Brand-New R2R-Nanoimprint Line. 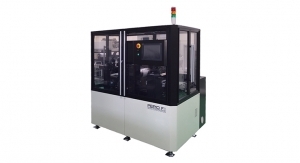 Company is offering the core printing module of the JETx production printer family as a separate product. 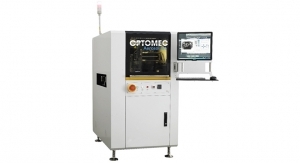 Machine Tool Series combines Optomec’s LENS Print Engine technology with CNC Vertical Milling platforms. Brings Kateeva’s total campus footprint to 150,000 square feet. 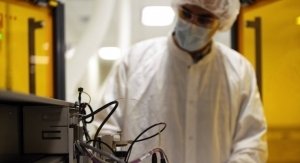 IRLYNX manufactures human activity sensing modules. 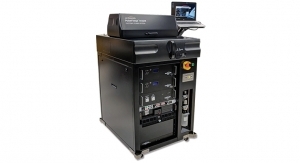 The F-Serie printer produced for EPFL-LMTS includes Inkjet and Aerosol Jet printing. 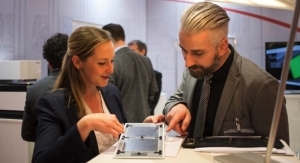 LOPEC will be held at Messe München from March 28-30. 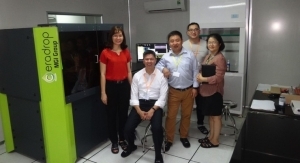 Will provide ability to support Additive Digital design, prototyping and mass production of electronic devices, such as PCBs. 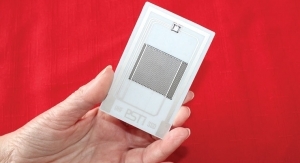 Aerosol Jet technology is currently used in mass production for printing 3D conformal antennas and sensors. 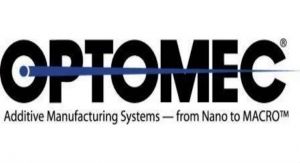 Addresses increasing demand for Optomec products and enhances support for customers and resellers in the region. 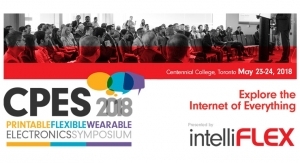 Aerosol Jet printing of flexible and stretchable interconnects to be highlighted at InnoLAE. 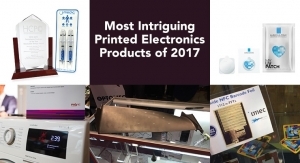 Later this year, Xerox will roll out the largest product launch in its history with 29 new devices. Showing how print innovations, analytics can springboard more memorable, personalized retail experiences. New 3D team will be headed up by Professor Neil Hopkinson, inventor of HSS technology. Will demonstrate numerous application opportunities in consumer electronics at CES 2017. President and COO honored by the Silicon Valley Intellectual Property Law Association. Optomec class will highlight opportunities to utilize Autodesk software to drive 3D additive manufacturing. 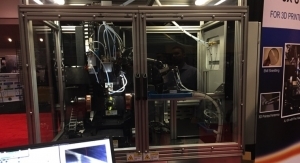 Aerosol Jet printing for mass production of smart IoT devices to be highlighted. 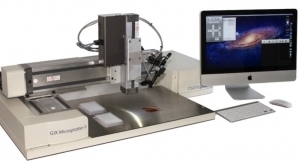 CeraPrinter F-Serie offers many print and curing options. Patent expert and veteran of Rambus & Silicon Image to lead IP function, drive global IP enforcement. 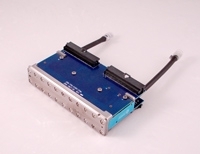 DMP-2850 offers improved cameras, more intuitive application software. 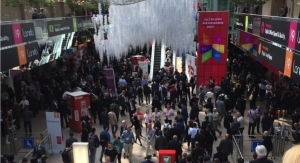 The next drupa is moved back to 2020. 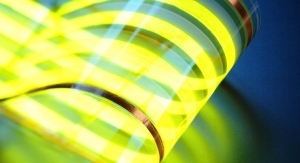 Developed YIELDjet to mass-produce flexible OLEDs. Will present a live demonstration of Smartcoater, introduce new joint brand Temicoat for pioneering printed nano structures. 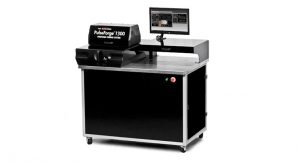 Adds All-in-one state-of-the-art digital materials deposition platform. 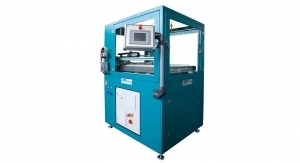 Will be used to develop OTFTs roll-to-roll digital lithography tool. 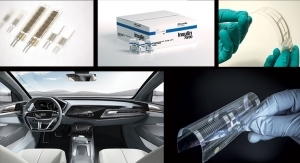 Fraunhofer ISC develops customized coatings based on inorganic materials and hybrid polymers for roll-to-roll processing. 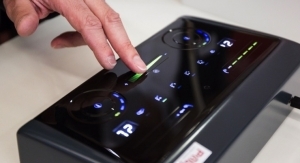 The digital prototyping capability will be available under the name of Inkjet Flex. 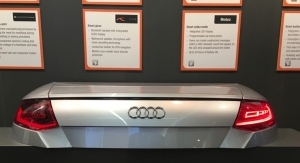 Performed live production demonstrations of the X-Series digital deposition system. Goal is to launch world’s first comprehensive industrial inkjet solutions for PE. 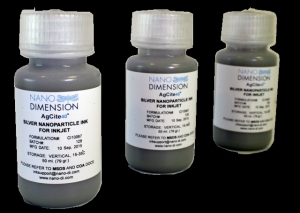 The company will also demonstrate the AgCite line of silver nanoparticle conductive inks for inkjet deposition. 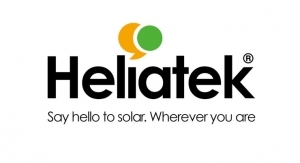 The financing round closed with a total capital raise of $13.1 million. Microplotter Proto is a picoliter printing system for rapid prototyping, printed electronics and life sciences research. Will focus on focused on screen press and screenprinting technology. 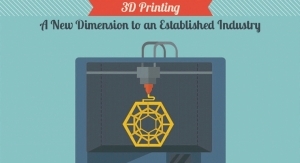 MultiFab is a low-cost 3D printer that can combine up to 10 different resins in one part. Will show high speed, full color single pass inkjet printing capability. Company moves into new larger San Francisco Bay Area facility. New OE-A board represents the entire international value chain of organic and printed electronics. Middleton will oversee integration of MakerBot Europe within Stratasys Business Unit EMEA. 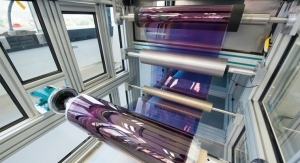 Companies to combine expertise in OLED materials, printing equipment. Tickets can be ordered online at reduced rates. 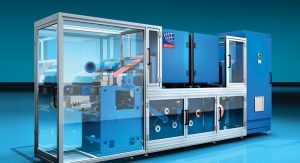 Printers exhibited gravure offset press designed for R&D applications at NextFlex. 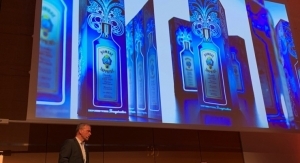 Speakers from IKEA, Jaguar Land Rover, ABInBev are among today’s highlights. Here’s a look at five interesting technologies that have either reached the market or are nearing commercialization in 2017. 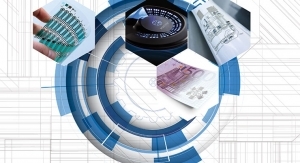 Funding in Europe tends to dry up after proof of concept, which is hurting efforts to move toward commercialization. 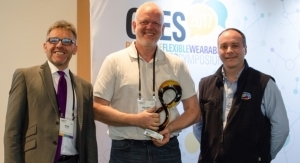 Next step is to develop new manufacturing techniques for flexible hybrid electronics. 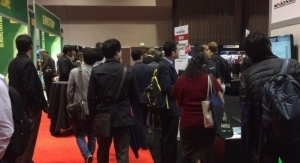 OE-A reports major growth in attendance, exhibitors and exhibition space, as well as increasing interest from end-users. 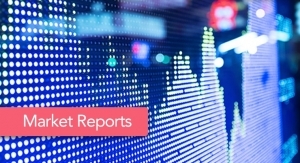 Mergers, new markets and products are among the most viewed stories in 2016. Digital printing has an important role to play on the Internet of Things, and HP is developing solutions for this market. Microplotter proves to be ideal for helping researchers print extremely fine details while using a wide range of materials. 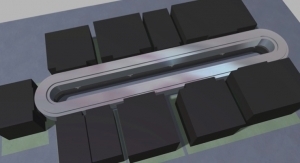 Develops fab-in-a-box system with capability to produce billions of flexible ICs. 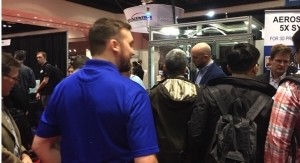 Companies show new technologies, presenters discuss applications during show. 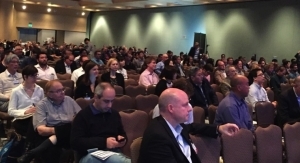 Manufacturers will show their newest capabilities to the global printing industry. 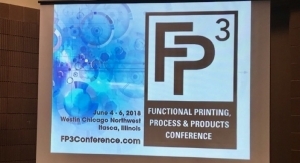 Company sees potential for conductive inks for 3D and inkjet printing. With products ranging from nanoparticle inks to 3D printers and software, company is combining two growing fields. 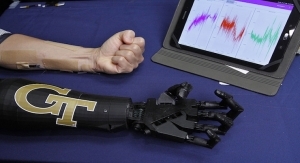 Printed Electronics Now covered many stories online during 2014. 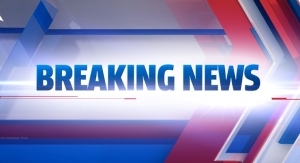 These breaking news stories drew the highest readership. 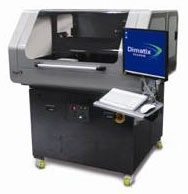 The Fujifilm Dimatix DMP-3000 materials deposition printer offers users a larger format, higher accuracy and higher repeatability. 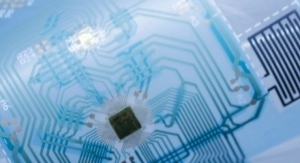 A closer look at two traditional printing processes that are capable of mass production of electronics components. 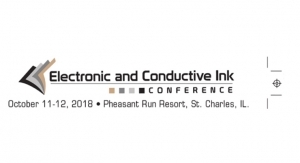 The new Sonoco Institute of Packaging Design & Graphics has printed electronics as one of its major topics of focus, well supported by contributions from packaging industry suppliers. As printing is being reinvented, it is well placed to respond to new opportunities, balancing economic and sustainability. 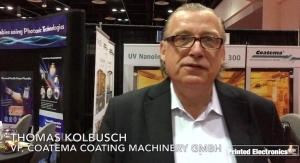 Editor David Savastano of Printed Electronics Now speaks with Coatema VP Thomas Kolbusch. 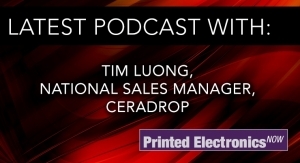 Tim Luong, national sales manager for Ceradrop, discusses the latest trends in the industry. Tim Luong, Ceradrop's national sales manager, discusses the PE market. 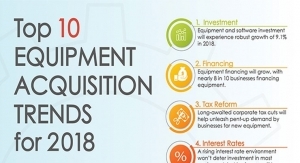 Businesses will find opportunities to acquire equipment amid economic upturn. 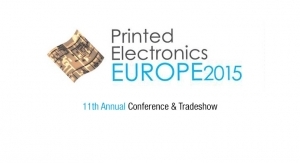 Will highlight PiXDRO inkjet printing equipment and FLEx thin film encapsulation technology.